1. 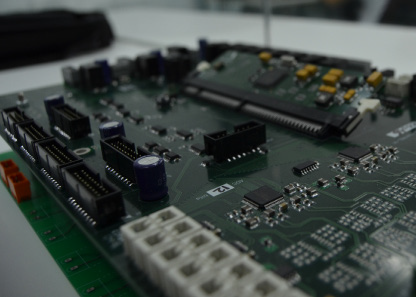 Advanced power electronics: SHAD® converters (DC/DC) for ESS integration and FS4G converters (DC/AC) for grid connection. 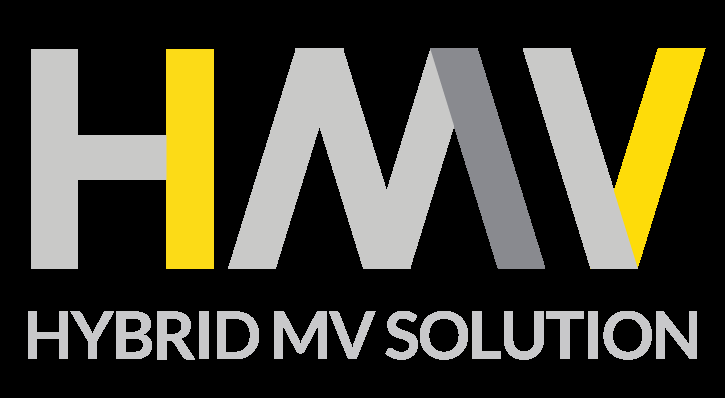 The SHAD® solutions operates as an optimized ESS, that can do viable to avoid the oversizing of the energy storage technologies, optimizing the storage’s throughput and extending the variety of services that the system could provide, even simultaneously. The HMV product is a integrated hardware and software platform based on a modular multilevel power electronics architecture with an optimal size and performance for medium voltage applications without transformer HESStec has a power electronics solution with a high ac output voltage in the range of dozens of kV that allows the direct grid connection avoiding the use of a transformer. A modular multilevel power converter is an equipment based on the use of cells of a relative small power and voltage, which are series connected, as shown in figure above. Specifically, the topology of HESStec’s high voltage power electronics is a Cascaded Multilevel Converter based on the use of H-Bridges as individual cells. 5. Direct connection to the Medium Voltage grid without the need of a transformer. – FACTS: MV Statcom, UPFC, etc. 3. Modularity, flexibility and scalability. • Benefits provided by each service. • State of each subsystem (state of function). • Forecast of the resources and the market. 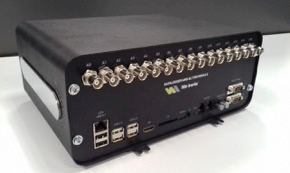 The InMS is the interface of the SHAD® solution. It includes advanced modelling techniques and implements IT strategies for an optimal operation of the HESS solution. 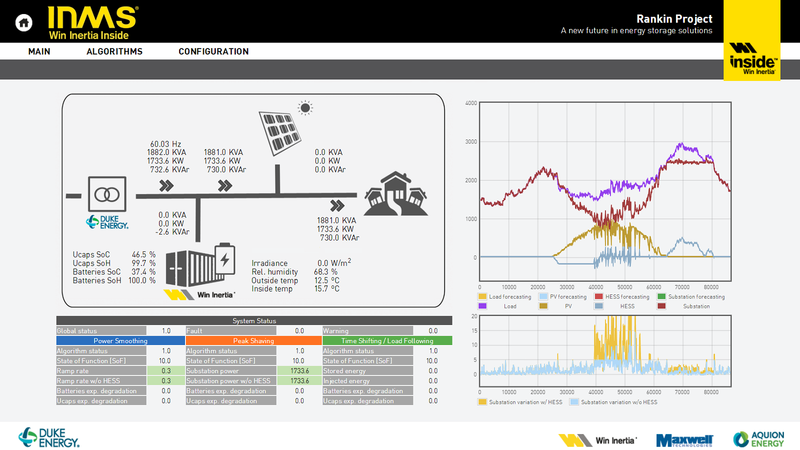 The iNMS facilitates the operation of higher hierarchical management systems or operators by providing real time information (State of Function, optimum operation schedule, grid services characterization, energy dispatching estimation, etc.) 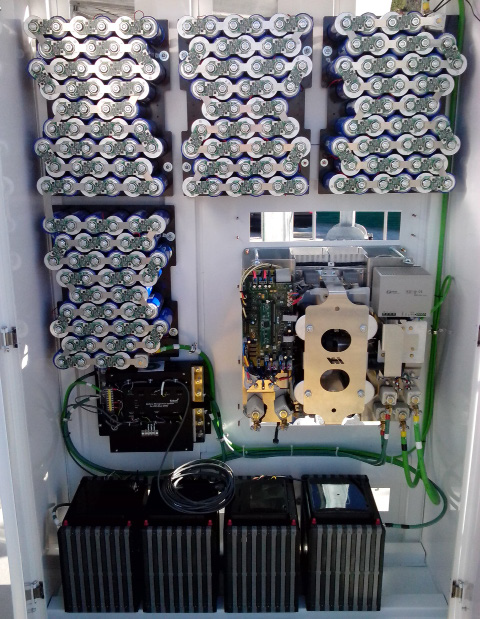 about the availability of the hybrid energy storage systems for providing services. State of Function (SoF) is a novelty concept based on a dimensionless vector that shows the availability and maximum capability of an asset to perform a service. It is composed by a set of figures of merit that indicates which services can be provided by each asset and at what extent can be each service delivered as a function of different parameters as the State of Health, past operation or available historian, state of the grid, etc. 4. 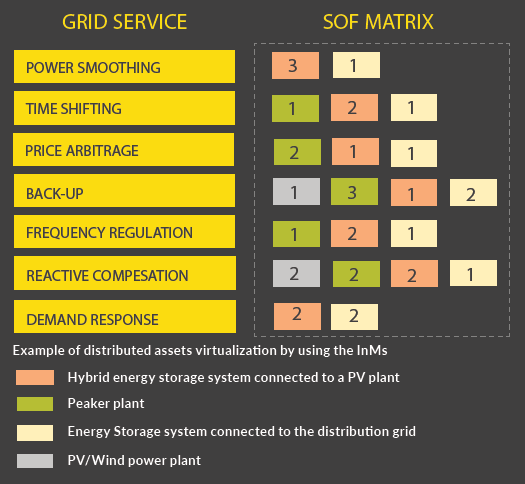 Optimum operation schedule of energy storage technologies and other assets, matching between services and state of function. 2018 © Hybrid Energy Storage Solutions Ltd.